national action network; and WIN’s Calling the Circles initiative in Afghanistan, Japan, Uganda, and beyond. Wherever marginalized women ask for a voice, Marilyn convenes women’s alliances and weaves them into a ‘web’ of women’s voices for action. Advisory Committee for Planned Parenthood of KC (PPKC) and the first Public Affairs Committee for Planned Parenthood Federation of America, representing PPFA at the First UN Conference on Women, Mexico City, 1975. She has taken delegations to the UN Commission on Women and organized forums at the annual UNCSW since 1998.
incorporation in San Francisco, 1994. The policy mechanisms created out of that body of work have impacted California and the US on other progressive issues: green economics, gay marriage, elimination of poverty and racism, healthy families and CEDAW implementation. 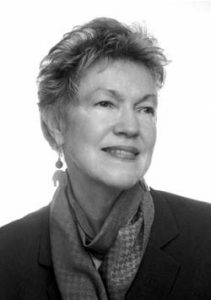 voices in public forums, Marilyn created “Calling the Circle,” leading delegations to and from Africa, Asia and the Americas, and took delegations of CAWA social justice activists into rural and tribal regions of California. She continues to invent new organizing paradigms for the bold mission to assure all women a voice in their government and economy. Association of Women in Development (AWID); Japan External Trade Organization; Planned Parenthood Federation of America; The Africa Summit; Japan America Society; Survival Skills, Education and Development and Global Forum for Women. Marilyn has received many honors such as the “Leading Change” Award from Women’s Communication Network, San Francisco, 2000; the Lifetime Achievement Award on International Women’s Day, 2012 from Global Arts & Education and most recently the CEDAW Human Rights Award for Community Building from the Friends of the San Francisco County Commission on Women, September, 2013. For more information and photos, visit Speak Out at WINaction.org. Marilyn is Founder and President of the Women’s Intercultural Network (WIN) and has been connecting women across cultures for collective action for 30 years throughout the US., Central Valley and Indigenous communities of California, to villages in Afghanistan, Uganda, Japan and beyond. Marilyn’s work with the women’s movement began in the late ’60s when she formed the first Information and Education Committee for the national Board of Planned Parenthood Federation of America (PPFA) and the first PPFA Public Affairs Committee. That Committee became a prototype for Public and Community Affairs action committees throughout the U.S. during the ’70s and ‘80s to defend women’s right to birth control services and safe, legal abortion. She has represented PPFA and other women’s organizations at United Nations International Conferences on Women and Population. Before moving to San Francisco in 1992 Marilyn served as Executive Director of the World Affairs Council of San Diego (WAC) for three years; Director of Information, Education and Training for Planned Parenthood of San Diego four years; and prior to that as Director of Training for the U.S. Department of Health and Human Services, Region VII Family Planning Training Office for seven years in Kansas City, Missouri. While Executive Director of WAC in San Diego, California, Marilyn coordinated over 300 foreign policy and cultural events, including Japan Festival ’92, an eight day series of cultural, business and educational events. She founded the International Women’s Action Council in San Diego during her tenure with WAC which became the inspiration for WIN, incorporated in 1995 in the Haight-Ashbury neighborhood of San Francisco, California. WIN served as the Regional Field Coordinator for the Pacific West Coast Regional Summit on Africa in 1999-2000. WIN coordinates CAWA – The California Women’s Agenda with a CAWA Leadership Circle. This million women action network was the first policy mechanism to implement the 4th World Conference on Women, Beijing, China, 1995 Platform for Action and the anchor project for WIN’s mission to ‘assure that the voices of all women and girls are heard in public policy forums.’ Founded in the Bay Area in 1996, CAWA has become a prototype organizing model for other states and countries developing coalitions for Human Rights and Social Change. As an NGO (Non Governmental Organization) Consultative to the United Nations since 1998, WIN has taken delegations to the UN Commission on Women and convened award winning panels at the NGO Parallel Sessions. Since 2001, Marilyn has organized and led delegations of US women to Uganda, Afghanistan, China and Japan and hosted women in California from those and Latin American and European countries each year since 2001 on WIN’s “Calling the Circle of Women for Full Participation in Democracy” initiative in partnership with the US Department of State. Marilyn has served on the Board of Directors and consulted with such organizations as The Association for Women in Development, (AWID) Washington, DC; Japan External Trade Organization, Los Angeles, CA; Japan America Society, San Diego and Los Angeles; Planned Parenthood Federation of America, New York; African Development Foundation, Washington, D.C.; Survival Skills Education & Development for Women, Manhattan, KS; and the Global Forum for Women. Marilyn holds a Masters Degree in Public Administration (MPA).. She has three sons, Lee Jr. and Christopher, and lost Thomas in 2005.